All Sacramento Public Library locations will be closed Friday, May 18; Friday, June 15; and Friday, June 29, 2012, due to staff furloughs. The Library’s telephone information service will be unavailable during these closures. The Library’s governing board recently approved three furlough days between May 1 and June 30, 2012, as a cost saving measure due to shortfalls in County property tax revenues and funding reductions from the City of Sacramento. “Funding shortfalls have left the library with few choices to maintain services to the public,” said Library Director Rivkah Sass. The library was faced with either laying off 15 to 18 staff, necessitating the permanent closure of as many as three locations; or furloughing staff, requiring temporary one-day closures of the whole system. “We believe furloughs are a better outcome, especially for those communities that would have faced the permanent closure of their neighborhood library,” Sass indicated. Sacramento Public Library’s website (www.saclibrary.org) is available 24/7. Visitors can access the Library’s catalog, apply for a library card, request and renew items, download eBooks, audio books and videos, use the research databases, pay fines, and see event and programming information. Please call 916-264-2920 with any additional questions. 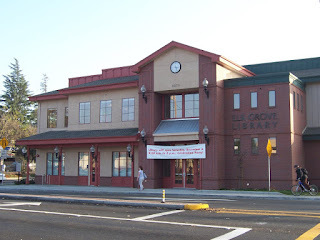 No Comment to " Sacramento Public Library Closures Slated Due To Staff Furloughs "